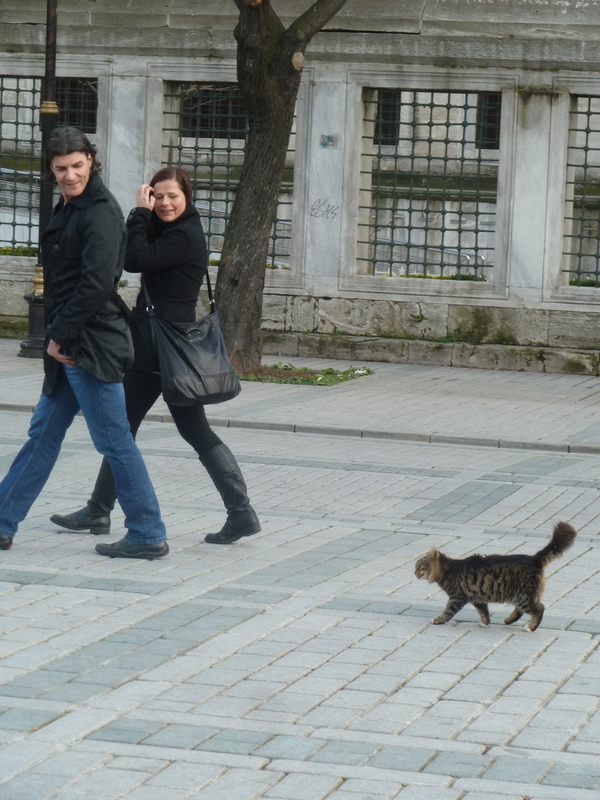 One of the first things I noticed on the streets in the Sultanahmet, Istanbuls Old City and home to some of the main attractions like the Blue Mosque, Topkapi Palace, and Hagia Sophia were the number of happy, well fed, friendly cats that populate the area and seem to be owned by the community. I was in one store today when a cat with a loud meow appeared at the door. The propietor was unfazed and told me that he shares his lunch with her every day and she is never late!. 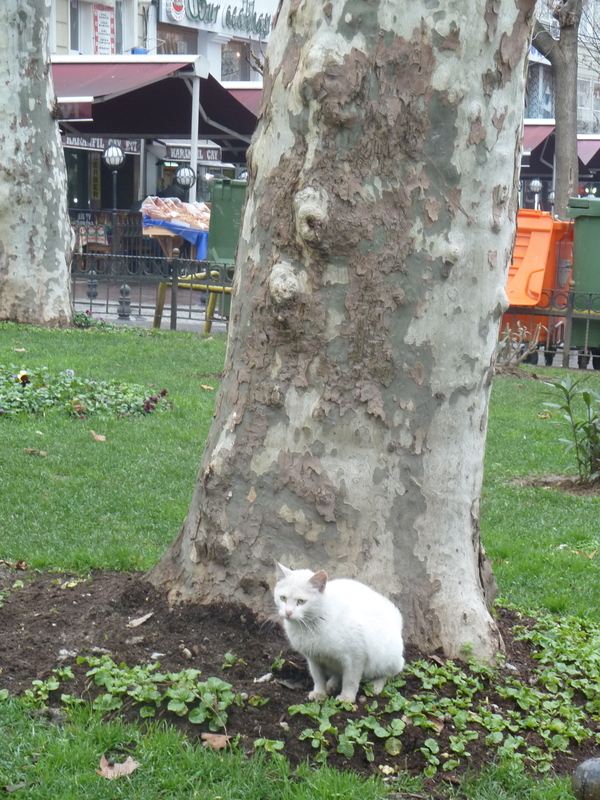 People in the city care for the stray cats and feed them, love them and try to find them homes. As a cat lover this was music to my ears. So I took lots of photos of some of the friendly felines and did an internet search on the history of their presence here and the findings made me smile. 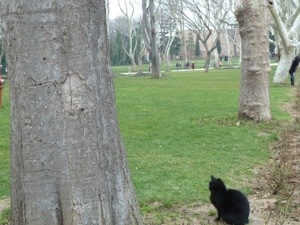 It seems when President Obama visited Turkey in 2009 one of the lucky kitties had a “photo op” with him at one of the historic sites! The cats are free to wander and there is an active catch, neuter and release program in the city. A strong association with Islam offers them some benefits as well…seems there is a popular saying, “If you’ve killed a cat you need to build a mosque to be forgiven by God”. That seems to be a pretty strong motivator of kindness. 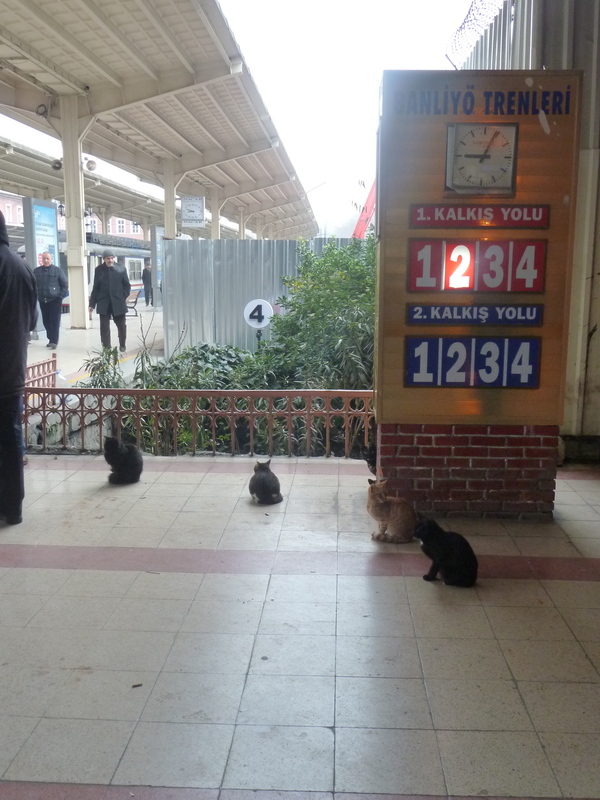 Istanbul is such a fascinating city, full of culture and diversity and I know there are those of you who will wonder what ever moved me to start with cats, but those who truly know me will understand. Meow! 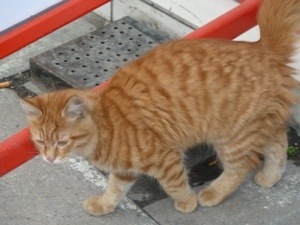 This entry was posted in Food, Istanbul, Museums, Travel and tagged Baklava, Blue Mosque, Cats, Honeycombs, Istanbul, Istanbul Gar, Old City Istanbul, Spice Market, Turkey, Turkish Delight. Bookmark the permalink. 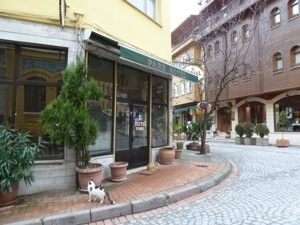 We will be visiting for the first time in May, my daughter is going to love this aspect of Istanbul I just know. She always despairs of having to leave her cat behind when we go away, I can see we will be meeting many of these feline friends during our visit. Yes your daughter will be happy. So will you, this is a lovely place with fabulous people. I will be writing many more blogs on Istanbul…some might have to wait until my return as I am having problems with the iPad app. If you like you can follow the blog …check out right hand column on the homepage! Thank you for reading it!